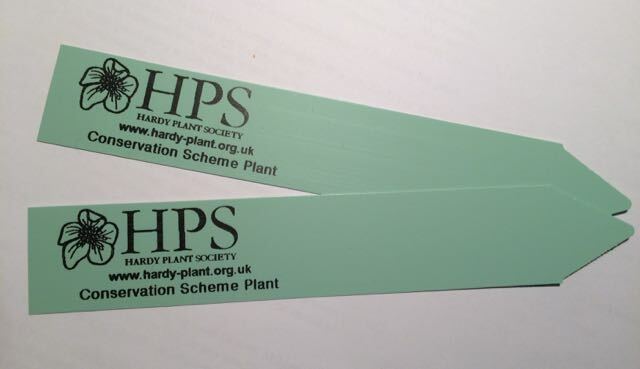 Before we all get carried away by the excitement of the HPS seed list, please remember that whilst plants on the Conservation list may produce viable seed, the plants grown from that seed will not 'come true' and are likely to be inferior in some respect. Plants in the Conservation Scheme should therefore be propagated vegetatively to ensure that we maintain stock of the true plant. If you do raise plants from seed they should be clearly labelled as such and NOT carry the special Conservation Scheme labels. Of particular concern is seed labelled Iris ex 'Banbury Gem' as we know that for a number of years the wrong plant has been in the Conservation Scheme under this name (see October 2017 Conservation Blog). Any plants raised from this seed should be labelled Iris Californian hybrid and may be very pretty, but will not be Iris "Banbury Gem' (CH). Seed from other Conservation Scheme plants also appears in the 2018 Seed List and is correctly listed ex '…' so Helianthus x multiflorus ex 'Meteor', Lychnis x walkeri ex 'Abbotswood Rose' and Zantedeschia aethiopica ex 'Glencoe'. Please be meticulous with your labelling and remember that only plants that have been vegetatively propagated can carry our special green labels or be returned to the Conservation Plant Exchange. If you want to grow these plants they are available through the Conservation Scheme and we have a warm welcome for new growers and Local Groups who would like to get involved. 0 Comments To "December's Conservation Feature"